Most people work hard to get to retirement age and enjoy the perks that come along with it, including not paying a mortgage. But imagine reaching that point and then being scammed out of the value of your home. It’s actually happening with reverse mortgage schemes. What’s a Reverse Mortgage Scam? Fraudsters are using a number of different scams. In some cases, they will try to convince a senior to take out a lump sum payment on a home’s equity to pay for a bunch of fictional items: costly repairs they don’t need, reverse mortgage counseling fees, “high profit” insurance policies, “can’t miss” investments and finder fee annuities from their fraudulent company, according to a fraud prevention bulletin from the U.S. Department of Housing and Urban Development (HUD). The scammers might even tell a senior they can get a reverse mortgage with no money down. “After the lump sum is paid out, the fraudster disappears with the money and the senior is left with no cash or equity in the home. They may face eviction if taxes on an over-valued property are not paid,” the bulletin said. Here are seven ways to protect yourself or a loved one from falling victim to this type of scam. A scammer often insists they are the only lender you should speak with. However, it’s a good idea to compare at least two or three offers to protect yourself, according to Casey Fleming, author of “The Loan Guide: How to Get the Best Possible Mortgage” and mortgage adviser for C2 Financial Corporation. It’s also a good idea to check their reputation with the Better Business Bureau. “Your lender should not be selling you investments — there is too great a conflict of interest,” Fleming said. “Invest through a financial planner, financial adviser, or asset manager.” And if you’re investing in high-risk investments, a rule of thumb is to only invest what you can afford to lose. “HUD, which insures well over 95% of the reverse mortgages out there, only requires that a home be safe and functional,” Fleming said. So, things like broken furnaces or missing railings need to be fixed, but other things don’t. If a lender tells you that you need repairs, Fleming recommends you shop around and get a second opinion from another lender. If the advice matches, then consider the repairs. Before you decide on a contractor to do the repairs, Fleming suggests you interview any recommended contractors as well as get a scope of the job and interview other contractors to make sure you’re not being overcharged. “It is illegal for a lender to steer the borrower to a particular contractor, and illegal for kick-backs to be paid or received, but that doesn’t mean it doesn’t happen,” Fleming said. If you’re pressed to sign, just walk away. If you do not understand why you are signing papers, consider talking with a trusted friend, attorney or family members. 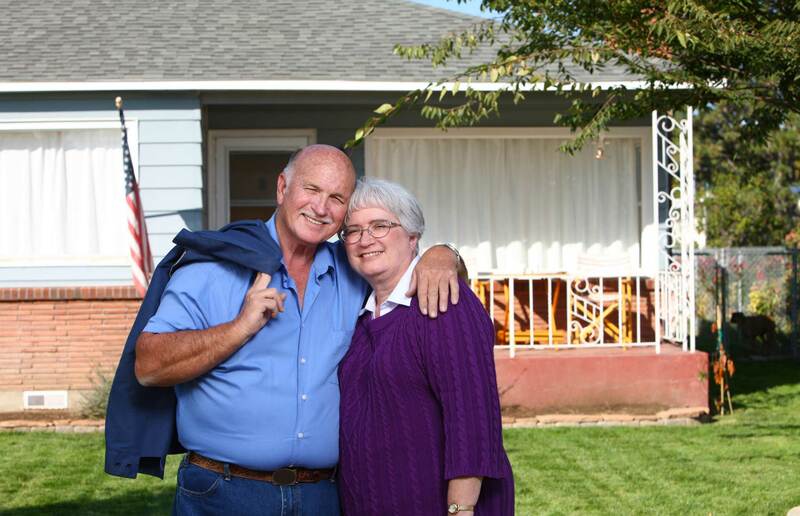 Getting a reverse mortgage is a relatively large, potentially life-changing decision, and you’ll want to be as present as possible through the process. Be sure to attend the closing personally and make sure any proceeds are given to you and not someone else. Scams happen, even to careful people. It’s wise to check your credit report to make sure that you haven’t unassumingly fallen victim to any. You can get two of your credit scores for free, updated every 14 days, on Credit.com. Christine Giordano is an editor and reporter for Credit.com who covers a variety of personal finance topics. Prior to joining us, Christine wrote for The New York Times, U.S. News & World Report, Harper’s Bazaar, Newsday and many other publications. A former staff writer for the New York Times Company, she is an award-winning journalist. You can follow her on Twitter @chrisgiordano.